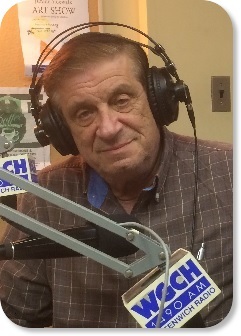 Sam Romeo brings you Greenwich Matters LIVE every Thursday from 6:00 to 8:00 pm. Sam is a resident of Greenwich and has a family history in Greenwich that exceeds 100 years. His love of politics found him serving on the RTM (Representative Town Meeting) for over 20 years where he Chaired the Land Use Committee for 10 years. He also served as Chairman of his District (12) on both the RTM and the RTC (Republican Town Committee) for many years. Sam is a strong believer in "Republican" ideals which lead him to work on various Republican campaigns. The most memorable being both Bush Presidential winning campaigns. The highlight was the actual meeting and greeting both of these men as President. Sam shares his time with his wife Mary, and their 5 children and 7 grandchildren. Along with his present duties as Chairman of the Greenwich Housing Authority and as a Board Member of the Greenwich Emergency Services (GEMS) as the Chairman of the Audit Committee. Sam has worked in the packaging supply business for over 50 years and owned and operated his own business - Command Packaging Supply Products, LLC for the past 25.